We've been impressed with the set-up at partypokerLIVE for some time now - their commitment to poker and the players has been second to none, and with the launch of their new "We're all-in" campaign, its fair to say that commitment is just getting stronger. "We're all in" is certainly a fitting title; partypoker have not only committed to increasing their weekly tournament guarantees from $4M to $10M, they have also guaranteed prizepools totalling $200M for this year's partypokerLIVE tour, and they've even given the software a state of the art overhaul. Hi John, great to speak to you. My first question is how did the conversation go when you were asked to become the President of partypokerLIVE? Very simply really. I had a meeting with Tom Waters and a couple of other people from partypoker and they suggested the idea. They wanted to create an International Tour and asked me if I was interested. Given that they were such an enthusiastic and entertaining group I immediately thought I could work with together with them and just said ‘Yes, let’s do it’. What is the key difference between partypokerLIVE and other circuits such as PSPC and 888LIVE? There are many similarities and many differences. 888Live seem to share a similar attitude toward the player as ourselves and that is one of respect and consideration. Ultimately we want to provide players with a great experience playing in events with optimum structures in the best venues with the best customer service. It’s really that simple. The player always comes first. We run our tournaments on behalf of the players and they pay us for this opportunity; If they don’t like something then we change it. That alone makes us totally different from PSPC whose attitude is the polar opposite. We focus 100% on the experience on and off the felt. It’s all about having fun and not taking everything too seriously. If you could choose any big poker name who is not already signed as a pro to represent PPLIVE who would it be and why? Interesting question. We already have such a great selection of significant and dynamic players who have seen what we’ve done in the last year and want to help us achieve our goals it’s hard to imagine anyone else. 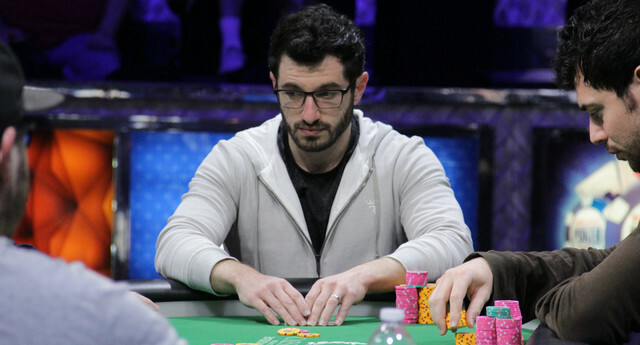 I have huge respect for Phil Galfond as he seems to see the whole picture and shares our love for the game but it’s highly unlikely given his other commitments that he would ever be able to but he would fit the bill totally. How important are online satellites when it comes to the qualifying for these huge live events? What % of players come from satellites on average? They’re incredibly significant because they represent exactly what we are trying to achieve. What could be better than winning a package to say Barcelona main event or the Caribbean Poker Party for just a few dollars? Personally I would like the majority of the field to be made up of qualifiers because they are going to arrive with the determination to simply enjoy the experience. I’m not sure what the % is now, but whatever it is I want it to be bigger. You recently mentioned that partypoker are the only company who care about their players and growing inside the poker world. Can you elaborate? This was a bit of a generalisation and unfair on 888Live, Unibet , WPT etc etc because they obviously care about the players a great deal. I have however noticed over the years an endemic disdain for poker players within certain sections of the business community and it pisses me off. There are individuals who have made a very healthy living in the last decade working for companies providing the platforms and sometimes the live events who couldn’t careless about their customers. I’ve seen this at first hand and it makes me really mad. I’m not going to name names but I think it’s pretty clear who I am referring to. Being the man who setup EPT how does it feel to not be in control of that anymore and the recent changes made to that live event? Infuriating. The various decisions that have been made over the years are just absurd and the final nail in the coffin was the re-branding. It was really this that fired me up to get involved with partypoker LIVE. What are your key roles in being the partypokerLIVE president? Answering questions from journalists. But seriously, my main and only role is to facilitate collaboration between players, colleagues and partners. That’s effectively it. We have seen you enjoying the high stakes cash games live on Twitch. Do you plan to play more of these? What stakes do you prefer? Favorite opponent? Worst opponent? It’s well known how much I love playing the game and whenever there is an opportunity to do so I will grab it. The stakes don’t matter. It’s so much more to do with who’s playing and whether or not I’m going to enjoy myself. Do you expect to add in more mixed games events to live festivals or will they stay primarily NLHE? If a significant number of players asked us to run any type of game we would do it, but there seems little point spreading a hi/lo PLO or whatever tournament if it just never runs or has like ten players in it. We have all seen live events get cancelled due to lack of interest and it just seems a complete waste of time unless things change significantly. 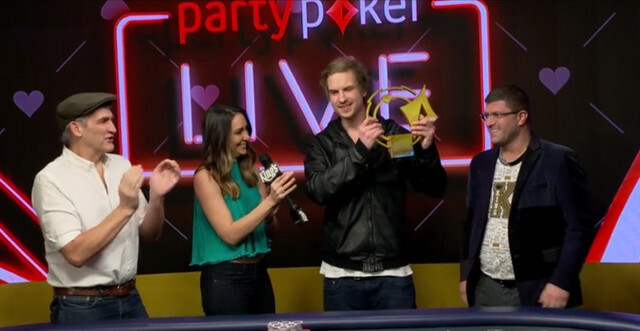 How BIG for PPLIVE was Isildur1 winning that huge event and making such an incredible call? Not only is Viktor and incredibly nice guy, but he is just legendary and has a massive following, so to see him final table and then make such a ridiculous call kind of vindicated everything we've been trying to achieve. I was absolutely over the moon for him personally and if it has a positive effect for us then that’s great but not something we can control. How big do you think guarantees can get in the next 12-24 months? Will there be a time we see €100M GTD someday? Is the sky the limit? We will constantly push the boundaries and are prepared to take risks that no other tour currently seem to be willing to match. If they do step up to the plate then it’s great for the players. One thing’s for sure, we’re not going to sit back on our laurels, so who knows where this will end. It’s pretty nerve-wracking sometimes but let’s face it your far more likely to travel to or attempt to qualify for an event if you know that you may be walking away with MILLIONS of dollars and if it’s not your day then your going to have a great time trying. Could you give 3 tips to players trying to get to these live events or perhaps some motivational words? All I can say is that there are so many routes into all our events that just doing some research and working out when it is easiest for you to play an online or live satellite means that you’ll be relaxed and motivated without distractions. Give yourself a budget to work with and don’t exceed it. Hopefully you’ll score first time, but if not just keep trying, stay within your limits and when you do qualify come and have FUN. It’s only a game, but it’s a wonderful journey.